The first blockchain-based, decentralized, cloud computing platform. Concept is acceptable however, cloud computing on the blockchain isn't anything new to the space. Lack of team member designation and no LinkedIn profiles exist on any of the team members including the founders. Cloud computing on the blockchain currently exists and several are already in development. The current competitors are further ahead and have a more reputable team. 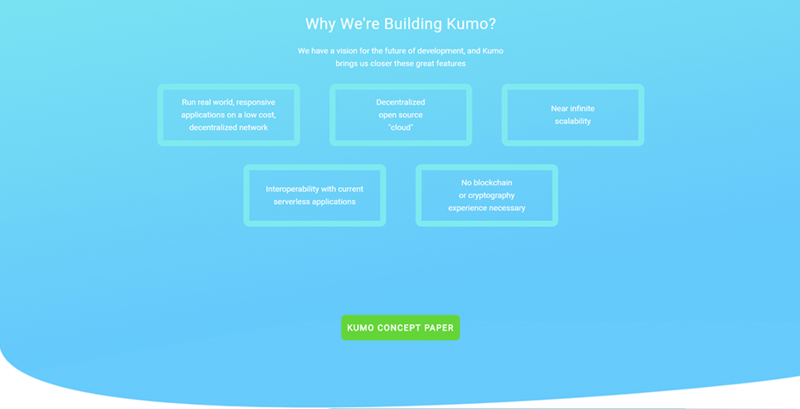 Kumocoin's key purpose is to create a fully functional cloud computing infrastructure on the blockchain to fully decouple data centers, servers, cloud providers, and other hardware infrastructure from applications. 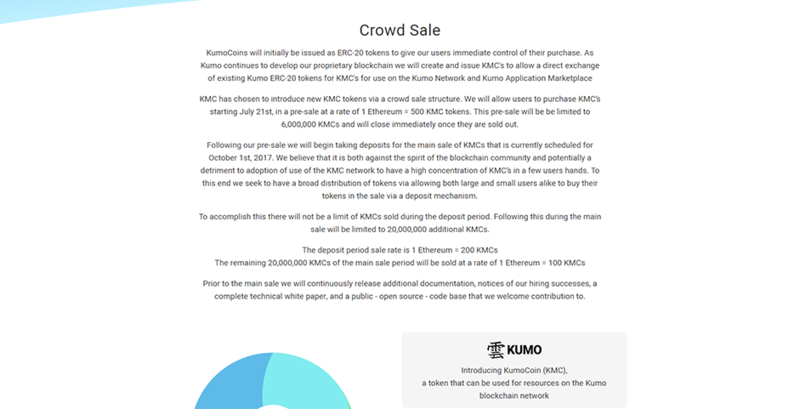 The Kumo network will provide low latency access to a large number of nodes. Miners will be incentivized through the fee structure to run quality hardware and services. This will give users access to bulk commodity infrastructure through allowing miners of all types to parcticipate. No activity and very little followers on Twitter account. No credibility or history. Lack of technical information, large font and few pages. Lack of team members, no designated title for each member. Skeptical location listed on website. Address cannot be verified. 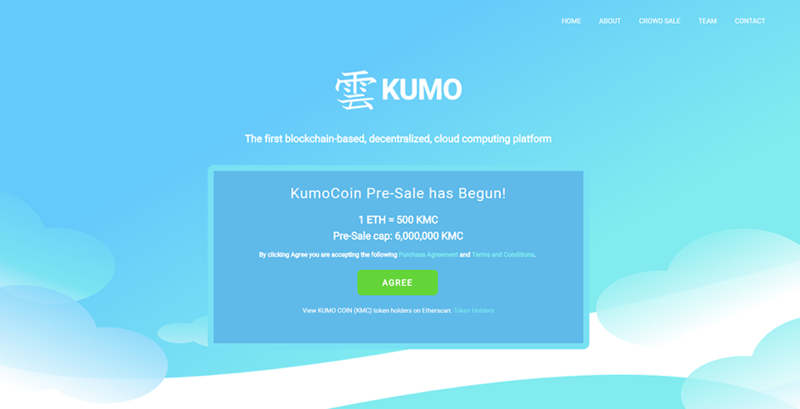 Kumocoin at first looks like a promising cloud project, however upon looking more in depth we don't see the investment value in the project. There are many other cloud computing projects in the space already which are further ahead and in development. Their ICO has been ongoing for awhile now showing that interest in their project is not so hot. 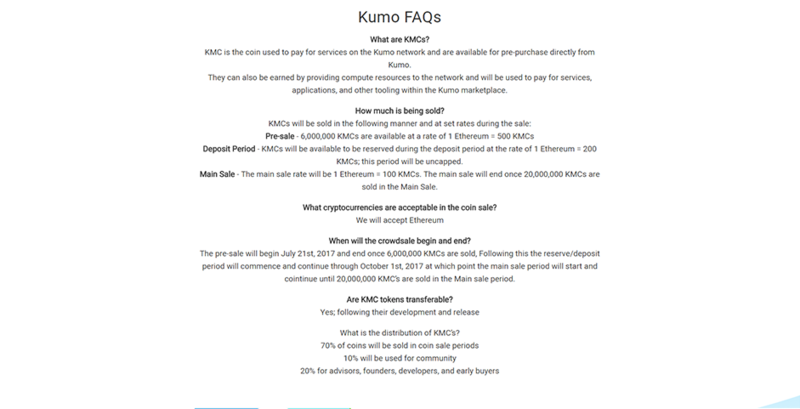 Although Kumocoin could very well achieve their goals, this isn't a project or concept that is revolutionary. We are a bit skeptical of the team and no LinkedIn profiles or verifiable history to back the project.